This is a sponsored post written by me on behalf of 3M. All opinions are 100% mine. Visual hacking is a huge issue but most average consumers and organizations are not dealing with it seriously. We are allowing our sensitive information to be exposed in many places with our mobile devices, 69% in the workplace, 55% while traveling and 51% in public areas. We have the habit of glancing around when we enter PIN number into ATMs, but we are exposing a lot of confidential information on the screens of our laptop or smartphone. Someone might be watching over your shoulder or on ubiquitous security cameras. Visual hacking is an addressed threat for most organizations nowadays. Recently, HP even collaborated with 3M to integrate 3M privacy screens into HP notebooks. The privacy function on HP displays will give customers a secure solution to keep on-screen data protected from prying eyes. In case you don’t want to replace your laptop, 3M is also offering Privacy Filters and Screen Protectors for displays of your smartphone, tablet, laptop and desktop. 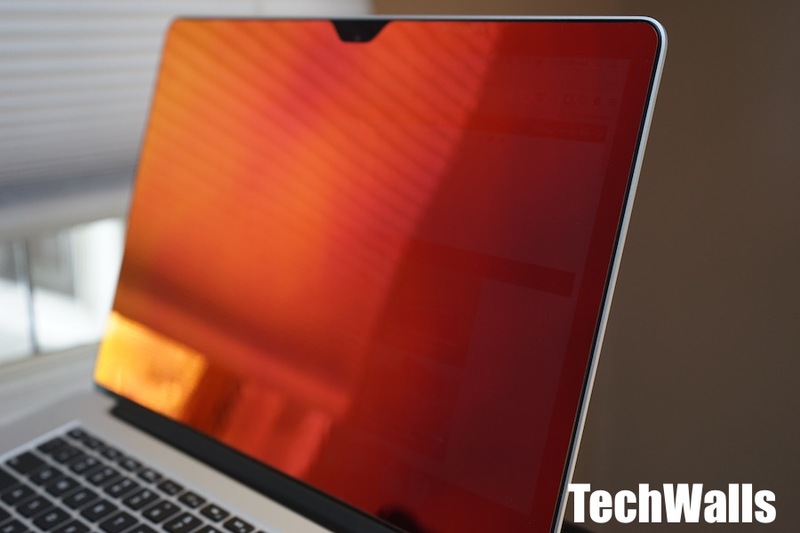 I had the chance to test the 3M Privacy Filter on my Macbook Pro 15 and I really loved it. Installing the filter is pretty easy and what’s great about the privacy product is that you still can see the screen quite clearly. People sitting next to you or far behind will just be able to see mostly gold color. The filter will reduce viewing angle and brightness but you will feel a lot safer instead. Since I started using the 3M privacy filter a few months ago, I’m more confident bringing my laptop outside because I know that the risk of visual hacking is reduced now. And of course, security cameras will hardly can see what is on your screen if they are not looking straight to the display. When you bring your laptop to a coffee shop for a meeting, who knows if the surveillance footage will be kept secured. Recent studies show that there were less visual hacks when organizations have mandatory training, clean desk, processes around printer bins, document shredder, copiers and fax machines, and of course devices with privacy filters. Visual hacking is a low-tech threat but it is also the easiest one for hackers. Therefore, we all shouldn’t underrate the risk, hackers could perform a large-scale data breach with just one piece of valuable information. Share with us your own stories regarding visual hacking, do you think the 3M Privacy Screen is a great solution to solve the issue? If you are interested in the product, you can Request a Sample for free on this link. You will just need to fill in a 6-question survey and after confirmation, they will send you a full-sized sample.